High school students are invited to compete in the SoCal Trombone Day High School Trombone Quartet Competition. 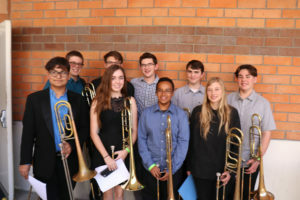 The winning group will receive a check for $200 (as a donation to their high school band program), and have the opportunity to perform during the Trombone Day Finale Concert, featuring Bones West and guest. 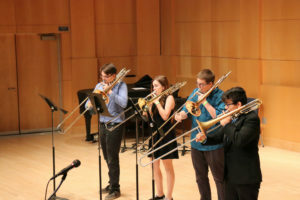 In order to compete, ensembles must be a complete trombone quartet (4 trombonists, any combination of bass/tenor), comprised of high school students (college students are not elligible). 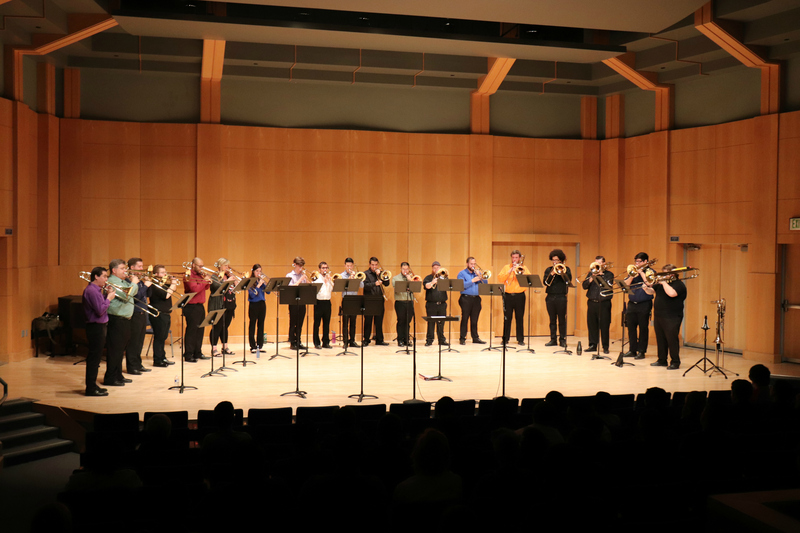 Trombone Day does not organize quartets to compete – groups are pre-organized by students, and/or sponsoring band directors. 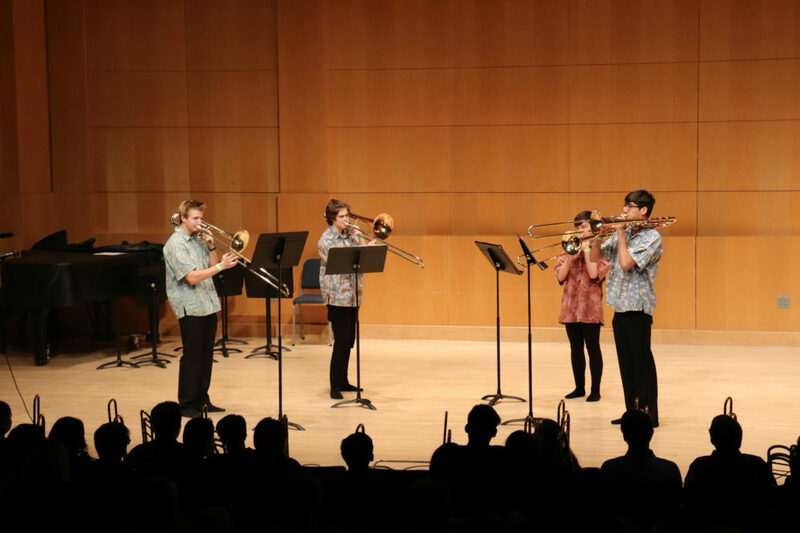 All quartets will perform Water Music together, as a trombone choir, during the Trombone Day Finale Concert (5:15pm). The winning group will perform their choice competition piece. All quartets will receive comments from the judges. 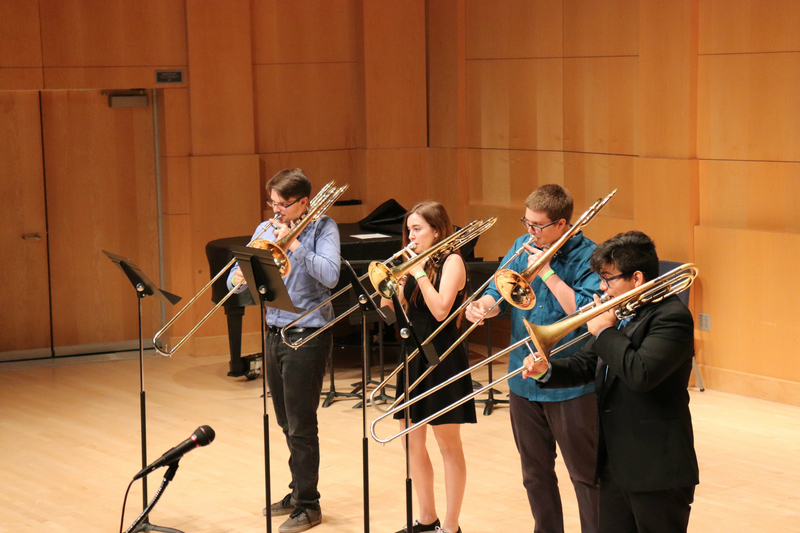 Competitors receive a discount on Trombone Day fees. Trombone Day has the right to limit the number of competitors, based on scheduling requirements. To register for Trombone Day and the Competition, email Len Wicks, at len.wicks@yahoo.com.